Tips on Cleaning your Tile and Grout. The grout that is between the space in your tile can accumulate dirt and dust over time. Cleaning your tile and grout is very important because dirty grout not only gives an unpleasant appearance, it can become unhealthy as well. But you say, cleaning my tile and grout floors can be difficult and time consuming. Many people think heavy scrubbing and bleach is the only way to clean these areas effectively, but this can actually damage your tiles. As well, many Do It Yourself methods can lead to dissatisfaction with the cleaning, and also leave your arms and knees very sore. Different floors need different cleaning agents and systems. Grout can be made of cement based, epoxy based or resin components as well as sanded or non-sanded categories. 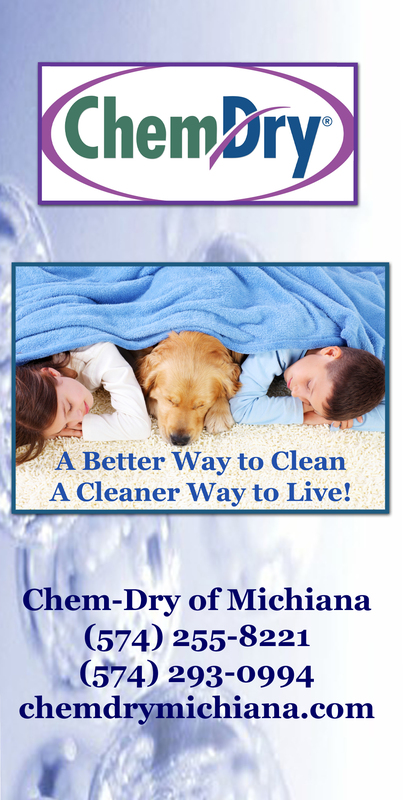 Chem-Dry of Michiana’s tile and grout expert can help you identify your grout and give you tips on cleaning and caring for your floor. Call today for some free advise and a free estimate. To keep your tile and grout Drier. Cleaner. Healtheir. Contact us to find out more about our tile and grout cleaning services in the South Bend and Elkhart Area! This entry was posted in Tile Cleaning and tagged chem dry tile cleaning, tile cleaners elkhart, tile cleaning south bend, tile grout cleaning. Bookmark the permalink.